This system is key to preventing foundation damage. 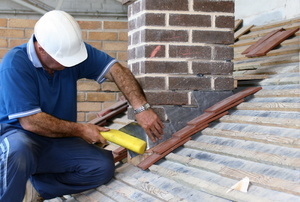 Flashing is a material that roofers use over joints in the roof. When you don't want to shovel, try these alternatives. 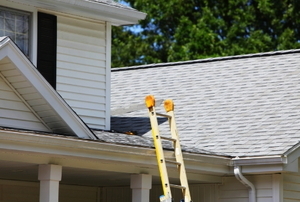 Help prevent water damage all the way from the roof to the foundation. 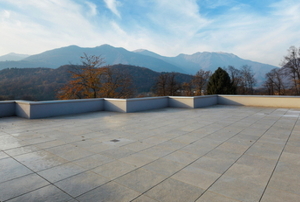 If you have concrete on your roof, consider adding waterproofing to ensure it has the longest lifespan possible. 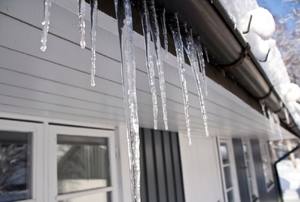 It's time to prep for winter and install roof heating cables to help prevent damage from ice damming. 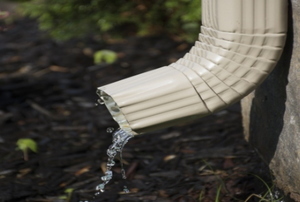 Correctly cutting an aluminum gutter is one of the most important steps before installing it. Check out these easy steps to do it right. 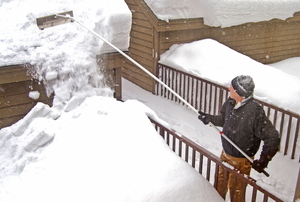 Make your own roof snow rake with these quick and easy instructions. 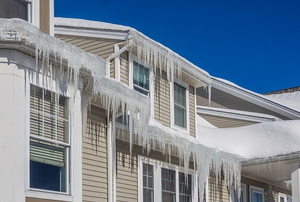 Is your roof protected from the devastating effects of an ice dam? Better make sure. 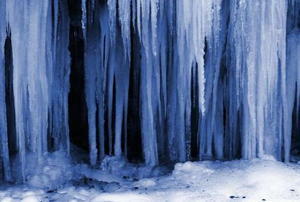 Ice dams form when snow on roofs melts and refreezes unevenly. Don't let the solution be worse than the problem-repair leaky vents the right way. 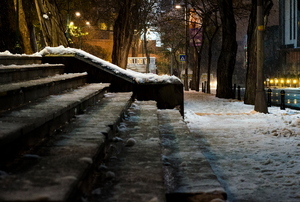 What are Typical Costs for Snow Guards? What is Needed for Snow Melting? 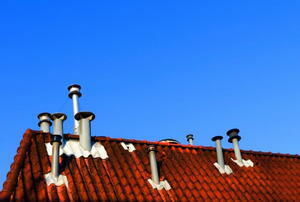 Installing vents with roofs covered in metal roof flashing is actually much easier than you might imagine. Lead roof flashing has many advantages and disadvantages when it comes to sealing a roof against leaks. 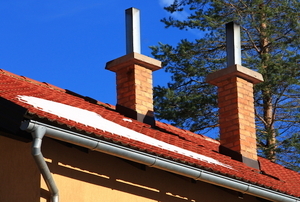 Aluminum gutters are an essential outdoor component of any home, as they help direct runoff on rooftops.